Come take a look and youll fall in love! 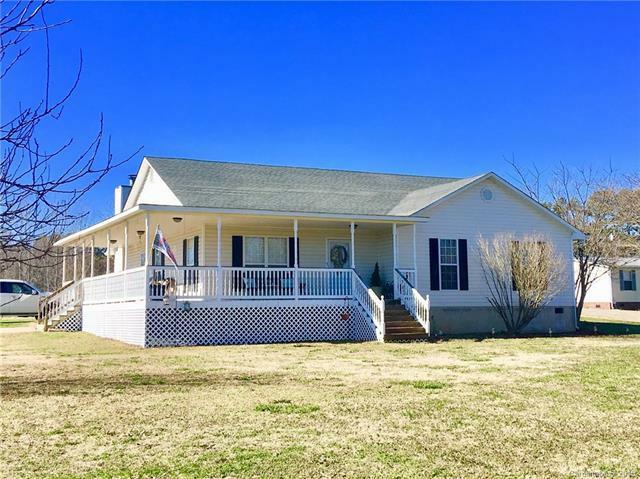 This beautiful Ranch home on 1.19 acres has loads of charm and a graceful wrap-around porch, Renovated with lots of upgrades! Featuring a cooks dream kitchen with beautiful new soft-close cabinets, granite countertops, tile backsplash, stainless steel appliances, large prep-island & serving bar plus an adjoining dining nook. Enjoy the wood-burning fireplace in the family room for cozy winter nights! The Master Suite has a walk in closet and attached bath with a garden tub and separate shower. The secondary bedrooms share a full bath with a lovely marble-topped vanity. Outside features an open, level yard and a Wired Outbuilding. No HOA fees. Great location out in the Country yet convenient to City amenities. A quick 4 mi drive to Cannon Village, 8 miles to Carolina Mall, 14 miles to Concord Mills.